Because of the human element and change management considerations, many industry consultants believe that CRM software implementation is as much art as science. In science, consistent input and efforts can accurately predict and replicate the outcomes of pre-defined actions and events. In art, however, we model the best representation or expression based on the variables and diverse conditions at the time. The outcome is uncertain and we often make adjustments or adapt to new ideas, new information or new human capital as we make progress. These factors highlight the complexity of CRM software deployment. CRM software implementations and upgrades require a mix of art and science to sift through business and technology complexity and craft sensible approaches, backed by proven methodologies, project management, change management and capable resources which collectively align business and technology objectives, mitigate risk and achieve forecasted results. Identifying CRM software implementation goals in technology terms, and not people terms, has contributed to a staggering and often cited CRM failure rate. Fortunately, there’s a better way. The User-First design and deployment approach positions the user as the North Star and emphasizes objectives, benefits and outcomes in human terms. The results speak for themselves. 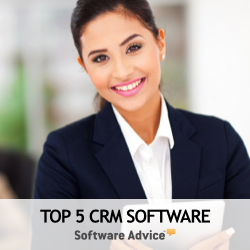 User adoption is a perennial challenge with CRM software deployments. Slow or low user adoption is a top cited contributing factor to CRM engagements that fail to achieve their objectives, or just fail outright. Here are the top CRM best practices designed to mitigate CRM user adoption challenges and get more payback on your technology investment. CRM software implementations move staff away from the status quo and outside their comfort zone. If resistance to change goes unaddressed, the hidden agendas and failure to embrace the needed change will significantly challenge the project, and likely result in time and budget overruns. Here is a ten step change management program to accelerate and improve your CRM implementation. For most organizations, successful change management is a prerequisite to successful CRM software adoption and business transformation. Fortunately, resistance to change follows a known process. Here's how change management obstacles unfold during a CRM software implementation and what you can do to proactively counter these obstacles. CRM failures are legendary. Fortunately, agile deployment methods are showing significant promise in improving CRM success. However, like most innovative frameworks there is more talk than action, and the actions tend to lack consistency. This blog post shares how agile methods can be used to reduce risk and dramatically improve the quality of your CRM software implementation result. Agile methods bring new flexibility and capabilities to CRM software deployments, including adaptive planning, iterative development, rapid response to change, early and frequent deliveries, and continuous process improvement. These agile best practices for CRM software implementations reduce risk and help ensure agile benefits are realized. As agile methods have evolved from pioneering movements to common practices they have created downstream challenges. DevOps responds to these obstacles by delivering the last mile of the software creation process, and getting new software capabilities into the hands of users and customers without delay. DevOps is a continuous delivery framework built on roles, events, artifacts, toolchain and tight integration with agile development. When it comes to CRM DevOps toolchains, the tools are often influenced by the CRM software architecture and development environment. This article shares a DevOps toolchain for Microsoft Dynamics 365. Choosing the right agile toolchain and leveraging the right capabilities within those tools improves your likelihood of achieving CRM software implementation success. The best agile toolchain is highly influenced by your CRM software product and your agile process. This blog post identifies an agile toolchain and key capabilities for Microsoft Dynamics 365. Picking the right agile management tool for your Dynamics CRM software implementation will be influenced by the types of users on your team and the scope of your agile and DevOps process. This article compares Jira, Rally and Microsoft Visual Studio Team Services (VSTS) for Microsoft Dynamics 365 software deployments. According to Forrester, "If you are wondering whether development operations (DevOps) is merely a fad, you are already falling behind … The results are profound, but achieving them requires focus and willingness to leave behind old ways of working and organizing." Here are some of the new ways, and the DevOps best practices that can aid your CRM software implementation. Most CRM software training participants get bored, become diverted, check their email, and then check anything else on their mobile device that is in any way more interesting than the course content. Software training research shows that attendees generally recall less than 15% of the content beyond 48 hours. Fortunately, there are proven CRM training best practices that boost learning results. Extending IT governance strategy, rigor and thinking to Customer Relationship Management can provide some big benefits and increase the likelihood that CRM initiatives are successful and sustainable. However, achieving CRM governance isn't easy. Here are three steps to extend IT governance to your CRM implementation and operation. A CRM software implementation can offer an ideal time to revisit and possibly re-engineer business processes, and in effect create a tremendous synergy by introducing both streamlined processes and software automation technology in unison. Consider these 5 process improvement steps to add consistency, reliability and scalability to your CRM deployment. A decade ago, CRM earned a bad reputation when Gartner reported that 50% to 70% of CRM installations failed. In 2009, there was a 47% fail-rate in CRM implementations, according to Forrester. Drilling deeper, though, only a few factors cause most CRM failures. Recognize the most salient success factors, and avoid the most repeated mistakes, and your CRM success rate increases. Assembling the right CRM implementation team is a clear precursor to implementation success. However, making sure you have the right people on the bus, and everyone sitting in the right seats, is often a challenging exercise in organizations with scarce resources and limited internal experience. This article suggests several facets team leaders should consider when assembling the team. Mitigating user adoption challenges during CRM implementations should be part of the advanced planning performed by all project managers and steering committees. With changes to customer strategies, business processes and staff responsibilities, proactive change management can make the difference between CRM success and being lumped into the all too cited CRM failure pool. Customer Relationship Management (CRM) implementations always seem to begin with the greatest intentions. Unfortunately, challenges arise, and often escalate; sometimes to the point of CRM software implementation failure. This article examines past CRM software deployment failures in order to identify top risk areas and the mitigating factors to avoid disappointment. Data conversions routinely result in setbacks and project delays to CRM software implementations. Far too many organizations fail to survey their data quality in advance and then ultimately discover their dirty data, duplicate data, incomplete data and bogus data when they go to convert, thereby, putting the project schedule at risk. Here are the lessons learned to tackle your data conversion. The first customers your CRM system will engage are your own staff. You need to sell them before they can use CRM to sell anyone else. In other words, as the CRM champion, you need to change perceptions so that, to your sales reps especially, they are empowered and there is no alternative to the combined CRM strategy and supporting software system. CRMsolution.com offers concrete advice regarding CRM strategy and objectives, several best practices and a comprehensive Blueprint which includes the business case for CRM as well as number of key success and failure factors. CRMmanifesto.com offers the brilliantly simple "CRM truths" and key principals which should be kept front and center during any CRM software implementation.